The signs of the Freelance Website Script are high on demand and emerging among the employers and part-time workers. This script is designed with the professions host of functions and advanced features. Since the last decade, the scope of the freelancing site is high among the users or entrepreneurs, they were looking to startup their own freelancing sites as their business. We developed the script with the user business understandings who are interested to work as the full or half-time freelancer and also for the providing the freelancing service to the companies or organizations with user-friendly customization and user responsive customization. Our advanced freelance Upwork Clone Script is designed with the three log-in portals for the users, freelancers and admin portal to avoid collision and prevent from the unauthorized users. The users or entrepreneurs can register their account with the valid mail id and password, after the successful confirmation of the account, they can log-in to the system whenever they required. The employer or freelancer can update their profile after successful log-in with their skills which will help them to search for the project, the employers can find the work based on their skills and subjects, it is easy for them to find the work from the list of categories, and also by entering the location, and project category by seeing the company profile, price and plans etc. The users can also see the number of users who are already using the website, number of projects, last month payouts, and payouts to date etc, then the freelancer can get the projects which matches with their user skills, user experience ratings and also by the project bidding. This Freelance Bidding Script will help the users or organization to make their business as full time or part time business where they can post a project with the respective category with project details, descriptions, and required skills set experience and bid expiry date etc. The user can post the unlimited number of projects based on the plans and categories. It is easy for the users to manage the account, leads, payments and messages in one dashboard with advanced resources tools and functionality. The user can allot the project by seeing the experience, skills, and the number of the projects worked, portfolio, and bidding price of the project. The Upwork Script has another portal which is known as the admin portal where the entire script is monitored and controlled by the admin. Where all the approval request and management are handled by the admin. The site admin has authorized login portals with a clear dashboard with all management resources tools and functions. We have also included the revenue generating model for the admin by using the banner advertisement, Google ads, and other advertisements. The script is designed in well structured sitemap with fast responsive, mobile friendly, SEO-Friendly URL customization. Along with the purchase of the script, we provide 1-year free technical support, 6-months software free update, mobile-friendly and bug-free code. This upwork clone script product has super good administrative panel works. 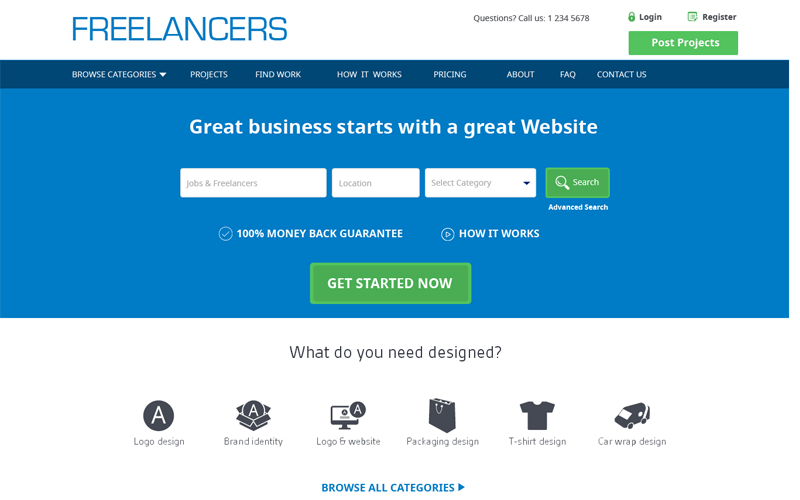 As am a freelancer this product admired me and it performs very well. Here I can get unlimited options and categories which help me to finish my work fast. Whenever I contacted support team, undoubtedly they clearly solved my problems. All over script is impressive and helps to implement my market ideas effectively.!!!!!!!!!!!!!!!!!!!!!!!!!!!!! !